Bloggers and Readers Let’s Help Each Other Out! If you read blogs, then for the month of August, make the “pledge” to click through from your feed reader. No obligation to leave a hilarious comment or send a long stalkerish email (although both, within reason, are always lovely). Just click through and if you’re feeling generous, click around. Just those extra page views can make a big difference for bloggers who could really use the help, or in my case, where page views don’t matter so much, a big fat ego boost. So, can you do it? Can you commit for one month? She’s offering awesome prizes to those who swipe a badge and blog about it. I’m actually working on saving those $$ that I earn from my blog advertising to apply to some much needed home improvement projects! 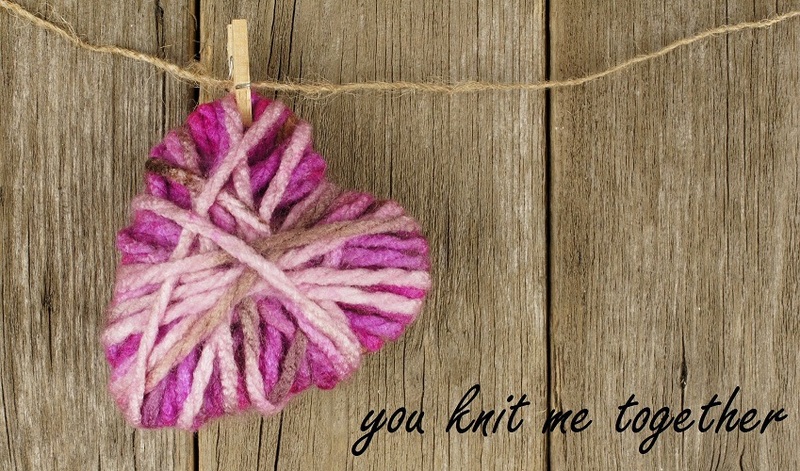 (cause you know I need more yarn like a hole in my head!) Whadda say, click through your blog reader, click through links and ads that do interest you on the blogs you read and your favourite web sites too, and let’s help each other out through this recession blogger style!!! I could do this if I knew what you meant. How do I click through my feed reader? What is a feed reader? Are you sure I have one? Maybe it only comes with the super-duper expando-accessory pack? I’m leaving comments for everyone who commented on Kristen’s post. 🙂 It’s the least I can do! It’s unreal that some of the Powers That Be still don’t believe that there isn’t a recession going on. The quote from Phil Gramm calling us “a nation of whiners” really got me. Soooo out of touch! Hello! 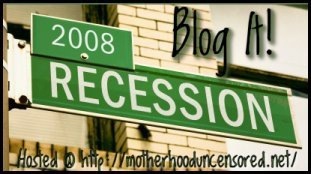 I am here blogging the recession!